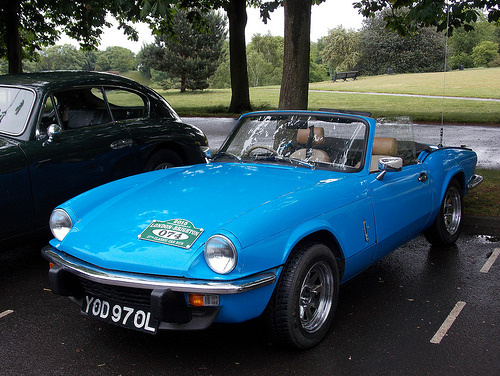 Following on from the success of the 1967-70 Mark 3 sports car, the Mark 4 Spitfire was introduced at the end of 1970. 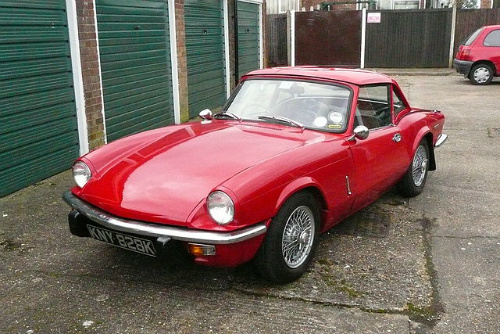 This featured further body restyling by Michelotti in which the front section received a new plastic grille, the doors received recessed door handles, the wheel arches were now flared, whilst the cut-off rear section was re-designed with a resultant increase in boot space, and the hard top was improved. The interior was upgraded, and the instruments were re-positioned in front of the driver. The rear independent suspension was, at last, redesigned to dramatically reduce the over steer present in the earlier models. The same 1296 cc engine as used in the Mark 3 was, in 1973, subject to further US emission control de-tuning which reduced output to 63 bhp at 6000 and 69 ft/lbs of torque at 3500 rpm. Consequently, with curb weight now increased to 779 kg, top speed was now reduced to 90 mph, with 0-60 mph in 15.9 secs. A four speed all-synchromesh gearbox was now fitted, and the hard top had been further improved. 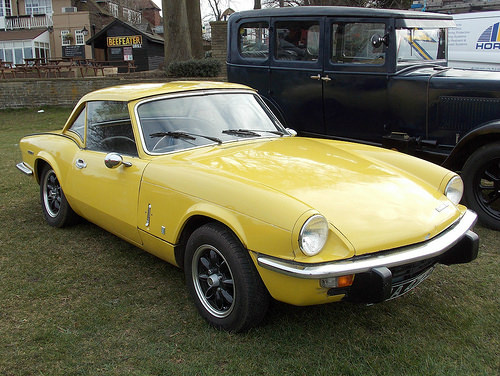 When production ended in December 1974, a total of 70,021 Mark 4 sports cars had been built.